Watford and Leicester both missed the chance to move into the top-six as they played out a thrilling 3-3 draw at Vicarage Road. Heidar Helguson's returned for his first game at Watford since re-signing for The Hornets and his brace looked to have won it for the home side. But Dany N'Guessan headed home in the final minute to seal a share of the spoils. The hosts had trooped off 2-0 down at half-time, courtesy of Matty Fryatt's seventh and eighth goals of the season. But Danny Graham pulled one back before substitute Helguson took over with a dramatic double, which looked to have wrapped up an unlikely win until N'Guessan's late intervention. 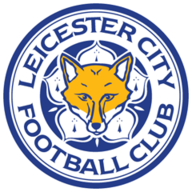 Leicester took the lead in the 19th minute when Robbie Neilson crossed into the area and John Eustace was adjudged to have handled as he attempted to control the ball on his chest. Fryatt stepped up to drill the ball past England Under-21 goalkeeper Scott Loach. The in-form striker almost doubled his side's lead just before the half-hour, sending Paul Gallagher's cross into the side-netting after Adrian Mariappa blocked his initial effort. And five minutes before the break Fryatt found the net again when he latched on to Gallagher's pass. The former Walsall hitman turned inside Hornets debutant Craig Cathcart, drew Loach out of his goal and expertly slipped the ball under the keeper and into the corner. Hornets boss Malky Mackay threw on Helguson at the break and he nearly pulled one back with his first touch of the game. Don Cowie made a fine run down the right and towards the Iceland striker, who was inches away from getting a foot to the ball in front of goal. Howard should have put Leicester out of sight but squandered two headed chances, nodding Matt Oakley's cross over the top and Neilson's centre wide. And he was regretting those missed opportunities when Graham tucked away his fifth goal of the season in the 57th minute. The summer signing from Carlisle received the ball with his back to goal, expertly turned and prodded a left-footed shot past Foxes keeper Chris Weale. And on the hour mark Helguson met Hodson's cross with a far-post header which flew past Weale and raised the roof at Vicarage Road. Leicester attempted to hit back and Loach did well to tip another Howard header over the top. But Helguson, who hit 64 goals in his first spell with the Hornets, took his tally to 66 when he bundled another Hodson cross into the net. 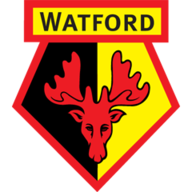 However, Watford could not see out five minutes of stoppage time and N'Guessan's powerful header earned the visitors a point.